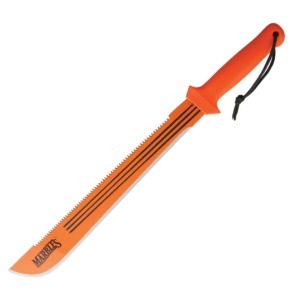 This dual-purpose sawback machete solves two obstacles: chopping and sawing. 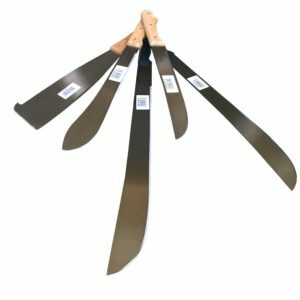 Successful at both chopping and sawing, the 18 inch blade features a full performance saw on one side, a 15 inch fine edge blade on the other. With a Gator Grip handle to keep it secure, it is ready for anything. 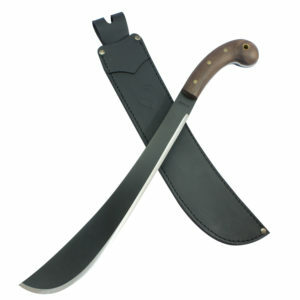 The Gator Machete wields a 15-inch fine edge blade on one side and an 18-inch high performance saw blade on the other. 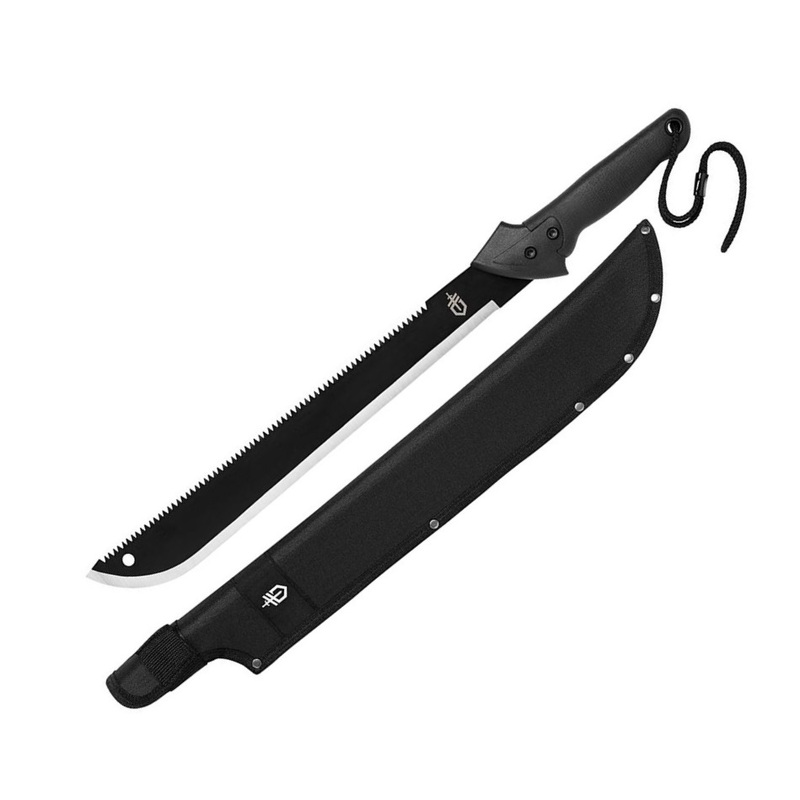 This saw-back machete includes a proprietary Gator rubber grip for ergonomic control while using either the sawback machete edge or the machete blade. The riveted, nylon sheath provides safe, durable transport. Clear foliage with a single swipe. 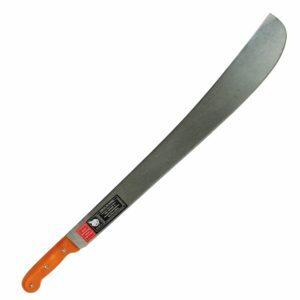 Machete also doubles as a saw. Great for clearing shooting lanes. Quality, tough, black oxide-coated steel blade is 15″, fine razor’s edge with “toothy” serrated saw on top. Gator sure-grip handle 25″ overall, weighs 1 pound, lanyard hole. 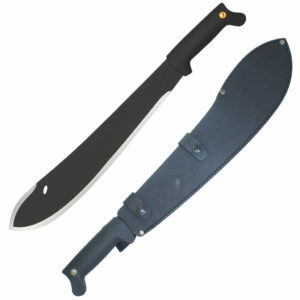 Black 400-denier heavy nylon sheath with belt loop. 2.2 mm. / 1.9 mm. Great blade that holds up well even under abuse. I have been clearing a bunch of brush (Read: Grass, Thorn Vines, Bushes, Small trees up to 4 Inches) along an old rusted barbed wire fence. If I accidentally catch the barbed wire I instinctively wince because I had a cheap fiskars machete that was completely ruined after a couple hours of the same work. However this blade has only got a few tiny dings in several days and those should easily disappear with sharpening. The addition of the saw on the backside is a bonus when I need to reach into a bush and saw off some branches and don’t have any swinging space. But the saw is mediocre when it comes to cutting speed.